Why healthcare professionals need an ERP partner they can trust? At Hannover Messe 2019, discover how Microsoft is manufacturing a better future. D365 BC F.A.Q. 11 | What is the Dynamics 365 Business Central user assistance model? D365 BC F.A.Q. 10 | What do we do in Dynamics 365 Business Central to keep things running? D365 BC F.A.Q. 9 | Productivity just went through the roof with Dynamics 365 BC! D365 BC F.A.Q. 5 | Find the right resources and provide feedback for Dynamics 365 BC! D365 BC F.A.Q. 3 | How to avoid search timeout? Seek and you shall find! D365 BC F.A.Q. 1 | How to End a fiscal year in Dynamics 365 Business Central? Dynamics 365 Business Central - Predictive Analysis? Check! What are the Five Critical Factors of a Successful Digital Transformation? For a successful Digital Transformation, what types of technologies are needed? GDPR kit - Day in the life of a GDPR-ready DPO. What is GDPR and how to get started? GDPR is here - Are you ready? Microsoft Azure and GDPR – How can MS Azure ease your journey to GDPR compliance? 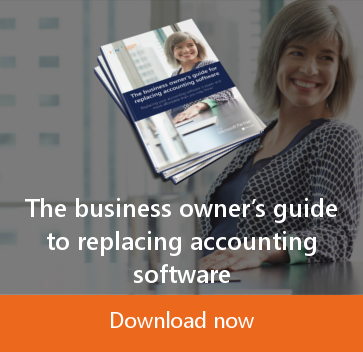 [Infographic] Is your business outgrowing your accounting software? [FAQ] Dynamics 365 Business Central - The 7 most asked questions answered! To tax more? Or to tax less? What Makes Microsoft Azure Stand Out as a Cloud Provider? BIG NEWS: TMC has acquired Dynamic Methods! Dynamics GP vs. Financial Force: Who is the Better Choice for Small Business? A Dynamics 365 implementation provides businesses with "predictive and prescriptive analytics." Dynamics 365 pricing tied to 'internal' and 'external' subscription levels. Dynamics 365 Azure: Cloud-based, 'HIPPA' compliant. Dynamics 365 ERP fulfilling Gartner's cloud ERP adoption predicitons? Seamless Data Integration with the Dynamics GP Cloud. Attention Small Businesses – Section 179 Deduction Expires Dec.31st! Upgrade Quickbooks and Get Cash For Your QuickBooks! Time is Running Out! GP 2013 and NAV 2013 Pricing Goes Live October 1st! How will Dynamics NAV 2017 Affect Business? Join TMC at the Heal the Bay International Coastal Cleanup This Saturday! Dynamics SL 2015 delivers robust industry-specific solutions for project-focused firms. Forbes Insight study touts 'collaboration' as signpost of success. Microsoft Azure is 'consumption' based; offers global availability. Forbes: Microsoft Azure "consistently ranked as a leader." Microsoft Dynamics GP 2015 R2: Seamless integration with Microsoft Azure. 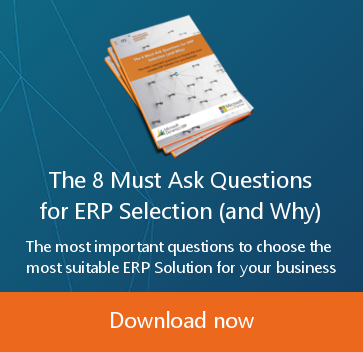 Cloud ERP series 9: How do you find the right team to guide you through the implementation? Cloud ERP series 8: How much does the Cloud ERP cost? 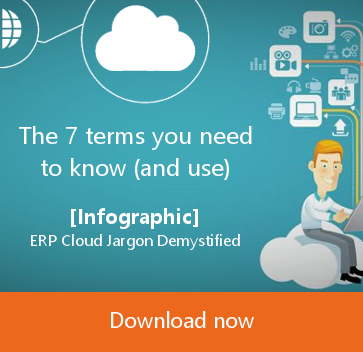 Cloud ERP series 7: How do I pick the right Cloud ERP? Cloud ERP series 5: How can Cloud-Based ERP give your business a boost? Cloud ERP series 4: Is your company ready for Cloud ERP? Cloud ERP series 3: Why is NOW the right time to move to the cloud? 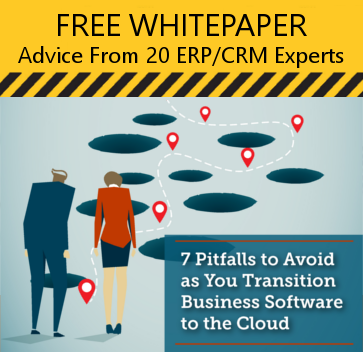 Cloud ERP series 2: Why & why not Cloud ERP? Cloud ERP series 1: What is Cloud ERP? Cloud ERP is ready. Are you? Do you know if you should be collecting sales tax in other states? Heal The Bay Beach CleanUp A Success! Dynamics GP Training for Year End and SmartList A Success! Help TMC Support The Fight Against Breast Cancer! Microsoft Dynamics GP 2010 Introduced at Microsoft Convergence! Western Foodservice and Hospitality Expo a Success! ERP Training: How to Make it Successful? Benefits of upgrading from your old Dynamics GP 2010 to Dynamics GP 2015! Waste less time searching for an ERP vendor; choose a vetted, Microsoft Dynamics partner. 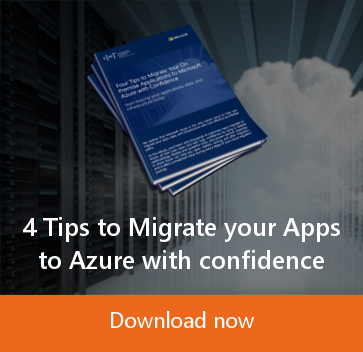 What you should know about Microsoft Azure? Microsoft Dynamics ERP implementation: streamlined for quick deployments. Remote ERP training cornerstone of services offered by Microsoft Certified Gold partner, TMC. Retailers can use MS Dynamics GP to analyze customer base. NetSuite: Cloud-based accounting software offers full, "PCI DSS" compliance. Let your sales team become a Microsoft Dynamics partner to open more revenue opportunities. Microsoft Dynamics cloud: a part of Gartner's prediction for the future of ERP ? NetSuite is a powerful cloud-based accounting software with CRM capabilities. Forrester Research: Business execs lack a "digital strategy." Is cloud computing a key component? MS Dynamics GP ideal for analyzing 'structured and unstructured' data. Seek out a Microsoft Dynamics NAV partner when searching for a ERP vendor. Accounting software for small businesses should integrate with other programs, like Dynamics GP. Dynamics SL helping to "reshape" business management tasks. Microsoft Dynamics SL and EDI: a one-two punch for streamlining business processes. Microsoft Dynamics GP offers real-time solutions to project management tasks. NetSuite software: A powerful ERP/CRM solution for Berkshire Hathaway's Shaw Industries. Welcome to the new TMC website! Microsoft Dynamics GP integrates data from multiple programs for real-time decision making. ERP software: a solution for "40% of manufacturers" unable to 'see' the inner-workings of their company? Microsoft Dynamics implementation: use a liaison to communicate with staff and vendors. Microsoft's PowerBI module, an option within Office 365's software as a service platform. A successful Microsoft Dynamics implementation starts with understanding how departments function. Dynamics NAV pricing very flexible for private-cloud or Azure hosting. Microsoft Dynamics suited for SaaS applications as well as on-premise deployment. Forbes: Healthcare ERP needs "wide-scale interconnectedness," including ERP software implementation. IBM conducts study on effectiveness of CRM/ERP software in retail sector. MS Dynamics CRM integrates silos of information for healthcare providers for better patient care. NetSuite ERP: a cloud-based platform that Gartner reports as among 'fastest growing' platforms. Gartner: Hybrid ERP systems favor manufacturing ERP software; ideal for multiple sites. Non-profit ERP software, like Dynamics GP, delivers 'productivity' opportunities to 501(c)3 organizations. Forbes: The backbone of today's 'mobile sales team' are SaaS platforms delivering immediate data. PriceWaterhouseCoopers' "Beyond ERP" study includes NetSuite ERP as global player . Gartner ranks Netsuite ERP among the top 5 vendors: solid pricing model a factor. Are you a non-manufacturing business considering Dynamics GP 2015? Dynamics GP 2015 integrates over 200 Excel reports for new levels of 'Business Intelligence' capabilities. General Electric becoming the 'poster child' for cloud computing. Gartner: users of manufacturing ERP software benefit from its 'end-to-end process. Technology Management Concepts, a Microsoft Dynamics partner, understands "digital engagement." ERP Cloud News: non-profit ERP software needs "long term strategy" in place. The Company Has Outgrown Quickbooks. What's Next? Lesson 4 / 7 | How to determine your NAV 2015 Upgrade Path? Lesson 3 / 7 | What are Dynamics NAV2015 Upgrade Requirements? Lesson 2 / 7 | How to Evaluate your Current Dynamics NAV Solution? Lesson 1 / 7 | How the New Dynamics NAV 2015 is Going to Affect your Company? 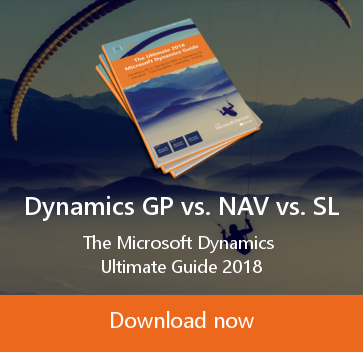 Hosted Dynamics GP or not ? TMC's NetSuite Event A Success!!! Technology Management Concepts: What are SAAS Trends for 2013? Private Cloud vs. Public Cloud: What’s the Difference? 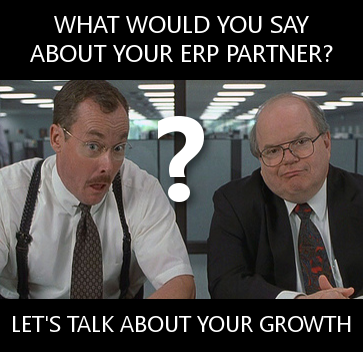 ERP Software: What is it? Why Buy from a Netsuite Partner?